The first one was an exercise in learning mechanics etc, this one is more geared towards fabrication, so I'm learning to weld and fabricate etc. Stuck in temporary accommodation at the moment while we try to find a house, so it'll be a slow start, but once I get up and running it should be a fun ride. I'll be asking all sorts of stupid questions along the way I'm sure, but that's how you learn, eh? Hey , I've seen that 350 around the internet a few times and thought it was an interesting thing to do to a 350, I kinda like steam punk style,and thought it turned out to be a neat little project. On the other hand, I don't know that this style is an appropriate thing to do to any 550 or 750 sohc, a later model dohc 4 maybe, but not a SOHC 4. I don't mean to offend you, but it's not like scores of SOHC 4's haven't already been destroyed by the cafe rage, bobbers,and choppers already, now all we need is another" all the rage" style to destroy even more of these beauties and they are getting fewer and fewer. The SOHC 4 manuals have been my Bible , the 550 and now 750 has been my savior, and this forum(for me) my religion. I know you think that it is art, a form of personal expression that will connect you to other individuals that think the way that you do. I understand that, this forum brings all of it's members together with the SOHC 4 as the common interest, but it really goes deeper than that for some of us. Couldn't you use a newer bike? Yeah, customising motorcycles is just fad, it'll never catch on... Though I get where you're both coming from, and I actually agree for the most part, but I ended up getting this particular bike because it had already been pretty messed with, it's in no way original condition. If it had most of the original parts and I felt it would make a good restorer for someone, I would have passed on it and let it go to whoever is that way inclined (though there's be no guarantee of that). I appreciate a good restoration as much as the next guy, but for me, restoring something so it's just like the mass-manufacturer intended is just not appealing to me. They were made for the masses, restoring it as such seems somewhat... nostalgic at best. Which is fine for those who like that (which is probably a lot more folks than not), but it just isn't me. I'm a designer by profession, I like being creative, I like taking something old and making it new, rather than just rehashing what's been done. As far as 'value' goes, I'm not interesting in making money, I'm not interested in what it's worth in dollar terms, I'm not interested in having the same bike exactly as it came out of the factory, and it did come out of a factory, 40+ years ago. I'm interested in what it's worth to me. It can teach me new skills, it can be a source of pride for doing something, and riding something, I made and enjoy. Something interesting, unique and hand-made. That's worth far more than the 'dollar' value to me. I may have joined the wrong board for this kind of thing, but it seemed to me like there was wealth of knowledge about these bikes here and I could learn a thing or two. Which is the whole point of this exercise. I realise it ain't everyone's cup of tea, but that's ok, as long as it's mine, that'll do me fine. It's those delightful differences that make the world go 'round, eh? And just think, I'm probably adding more value to your restorations... so I'm actually doing you a favour! I sort of agree with the other comments but it is your bike. The good thing about a forum, we can share ideas, that can help. Looked at your 350 build..Sorta wish you had run the bars coming up to hold the headlight on, like back in the day, would looked cool. Andrew, If the plea for a different machine to steam punk hasn't changed your mind and you will be going ahead with this project, I have nothing else to say.... but welcome. This is the finest SOHC 4 forum on the net for sure, and really , a great and well versed group of individuals on the subject . You may find some reluctance from some to participate in this endever due to the severity of this project. You will also find those who will be fascinated by your craftsmanship as you go along. Life is all about learning new skills, considering new ideas, and sharing information to other owners, and accepting other owners even if we don't agree with the concept of your build. So, if this is the case ,and we can't talk you into using another base for your creation ( and we already tried), I say welcome. Share information and techniques, take plenty of pictures, and do that 750 proud. Have fun customizing your bike. We are along for the ride and to offer advice here and there. There are members who restore, restomod, cafe, street track, brat, bobber, chopper and god knows what else. There's room for another steam punk! Your donor is fairly clean looking, but by no means a stock survivor. It has some mild mods already. Just my opinion of course, so feel free to ignore me. Cheers, Terry. I understand that a lot of the guys on this forum are SOHC purest and that's all fine and dandy but when I'm on this forum and I go through 193 pages of "lets see your bike on the road" and I see the same 4 "restored" factory paint job bikes over and over and over it gets a little.... sorry.... boring. I think the 750 is a gorgeous piece of machinery but when you take it and make it YOURS, it inspires me. Tell you what, Noddy, since a Terry is in the "offering" mood, have him foot the bill for a complete nut and bolt parcours restoration that you do and then you can grab another bike that suits him for you to "modify". Your bike, your vision, your effort, so YOUR choice. You've shown that you can follow through on one build already, so ignore the hate - but some of that distaste is coming from people who have an incredible wealth of technical knowledge, so don't write them off completely. I'm watching this build with interest. Life is precious: wear your f'n helmet! FWIW, I'm not a shill for Race Tech - I've just got a thing for good suspension and the RTCE's are the most cost-effective mod for these old damping rod front ends. Hmmnnn, I've been thinking about this, and I think I've come up with a really good compromise. 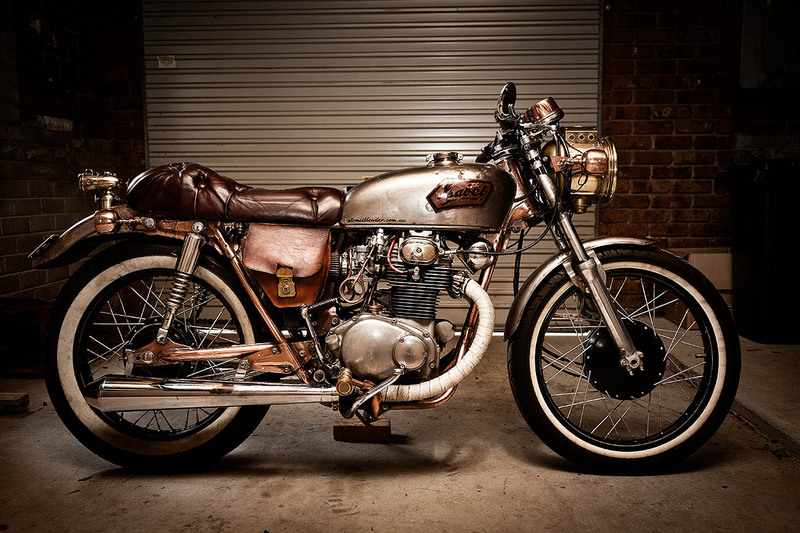 Looking that that thing that you want to turn that perfectly good CB750 into, it looks to me that all you'll need is an engine, a frame and a couple of wheels? Well I tell you what Andrew, I've got all those things lying around my garage, so how about you send me that CB750 and I'll send you all the bits you need to build that thing? That way, your CB750 will go to someone who'll actually appreciate it for what it is, and what it has been, and you can have all the OEM bits you need (I'll even chuck in a brass carbide headlight from a 1915 Indian Power Plus because I know how you Steampunk guys like that kind of thing) to build your "dream bike"? What do you say Andrew? I'm happy to pay the freight each way, and you won't have to worry about old farts like me heckling your rat build from the sidelines? Let me know mate, and I'm on it! Cheers, Terry. I agree that it's your bike to do with as you wish, but Terry's offer sounds great. It will save you a heap of time in deconstruction, and will provide fodder for someone to bring an old bike back if they like. I obviously go more for a racer aesthetic, but my bikes have not been anywhere near pristine. My one survivor is my 550 which I've kept fairly stock. Like I said before, do what you want, but Terry's deal might make sense depending on what you have in mind. That being said I saw your 350 on the twins forum and loved it! I fully support doing a 750 as well. You are not required by anyone to "save that poor bike from being destroyed". Seriously who gives a flying bag of shiits? Oh, that's right, the people of the internet. Ask your questions and those who truly care about the bikes will provide you with keen insight and answers. You will catch (already have) hell over this thing but it's going to be up to you how you take it. 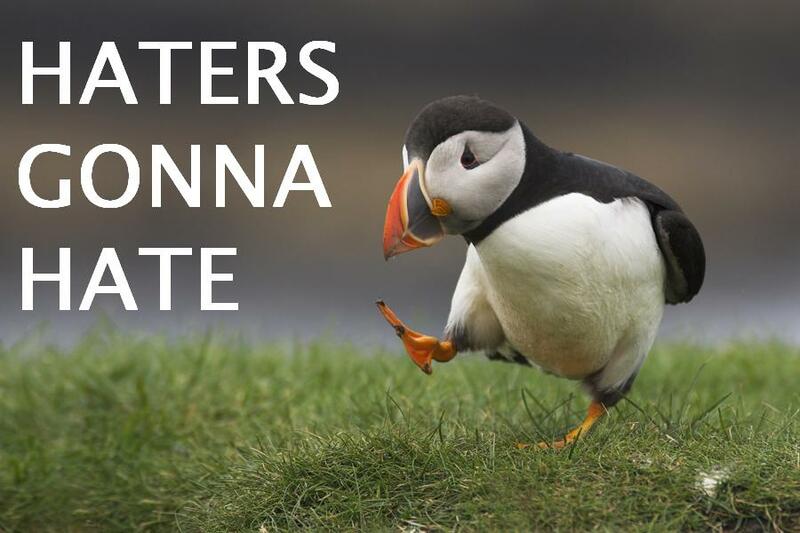 Always keep our forum rules in mind and be peaceful, and let the haters speak for themselves and set their own reputations. in the meantime trudge on and make this thing rock man! Now whether or not Terry's offer is real, you have to keep in mind you already have an entire working bike. That is easier to pull stuff off, try new parts, and such. It can be overwhelming to start with a frame, engine, and wheels and see the final product. there are so many other parts not accounted for that you still need for a bare minimum style bike anyway, at least with a whole bike you can sell off stuff you don't need to fund your project, and those of us in NEED for stock parts can get them at decent prices, so its pretty beneficial for all. I am afraid Terry is right. Putting form above function is just dumb in my book. If putting form above function is dumb, then owning a 40 year old motorcycle is dumb. Okay , I' on the edge of my seat with this thread and no wrenches have even been turned! I believe Terri has made a last ditch, sincere offer , he kids about allot of stuff but never about bikes. Andrew is very annoyed and feeling slighted....Don't let it get to you Andrew, it'll all work out wether you choose to do your machine or accept Terri's offer. No worries. In this forums 9 year history, has this ever happened here before? Andrew, I believe that you are making this forum's history twice, Once for being the first Steam Punk Builder here that has already built one that is actually attractive and stylish , and the second time for having a machine in that condition, that is so coveted that trades have been offered up before the project has even started . No matter what you choose to do , this thread is already gaining fame and a following , and will promote an understanding of true steam punk. Please don't take offence that we may have been guarding what we treasure and what we are used to. We just needed a little time to adjust to your vision, it's an overall radical change from stock, the abstract, and the possibilities are endless. Incorperate form and function, show us that it can be done. "I plan to live forever.....or die trying." The Golden Rule of Motorcycles: "My gold, my rules." Really? The bike is fully paid for, robust enough to be easy to maintain and work on, spare parts are cheap and easily available with growing aftermarket production and I have many friends who own one? Still don't see the dumb part of owning one. I wonder when this forum switched from "here's what I've done" to "may I do this?" Cut it, chop it, weld it, or restore it. It's yours, you paid for it. For anyone that doesn't wish to observe, then don't. But geez, leave the guy be and let him start shredding a bike that he owns. I should warn you that there are those on here, that will never. Understand or support certain. Types of building. But I also must say, it's easier than to chop or Steampunk, the devil before you, than someone elses devil.... Which may even be better....but could easily be worse.. I think if someone did a painstaking restoration, it would be difficult to see someone else cutting up a pristine survivor. That said, this bike is not a pristine stocker, but it is pretty clean. I can only guess that Terry thinks this one is close enough to be a resto candidate and that is why he is making the offer. I would agree that building from a running bike, versus a mystery basket case, is huge preference. It's the whole "too nice to cafe, chop, etc." versus easier to build knowing what I have. 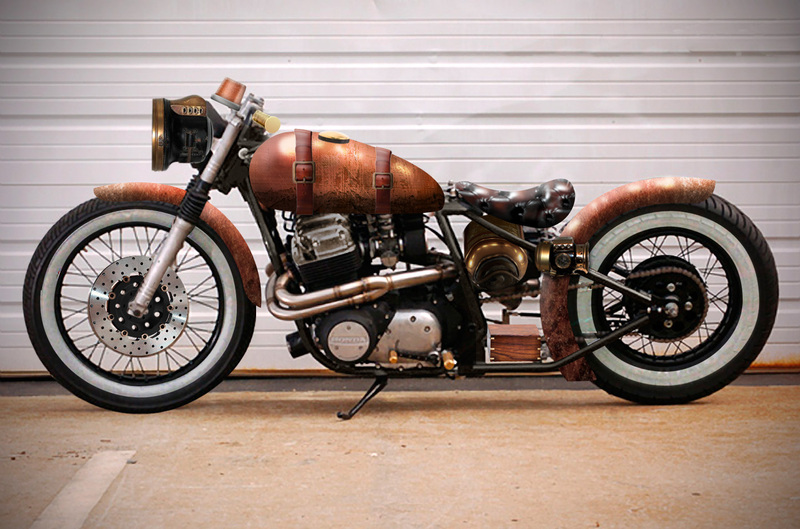 Although "steam punk" is not my thing (I like some builds incorporating the aesthetic), there are many other builds -- chopper, digger, bobber, street tracker, cafe -- that sacrifice the stock condition of these bike to varying degrees, and they don't provoke as much objection. I've seen all kinds of heated debate over oil, tire and shock choices, too! Assuming you go forward, make sure you finish the build and make it a stunner. As Cal noted, expectations have been raised now. Never even heard of steampunk before. What a night - just been reading about a guy 3D printing fork bits for his 40yr old bike, and now this! That's two firsts for me. If that 350 is a typical example of steampunk, then I have to say it's not for me. And to be honest, I'd love to have that doner bike in my garage, just as it is. Considering there were a gazillion of them made, he could have found a crappier one. But that argument works both ways. At the end of the day, it's his bike and he can do what he wants. I can see both sides, and I'll be following closely because I love all the fabrication skills I see on this forum.